Sanctuary, offers Melbourne residents a rare opportunity to secure premium riverfront living. Sanctuary follows the success of sold-out Eden, and almost completely sold Haven, at the former Honeywell site. Hamton Joint Managing Director, Paul Hameister said since launching the first riverside project, Eden, in 2011, the response from buyers has been overwhelming. “This is one of the very last opportunities available to enjoy the best of riverside living. 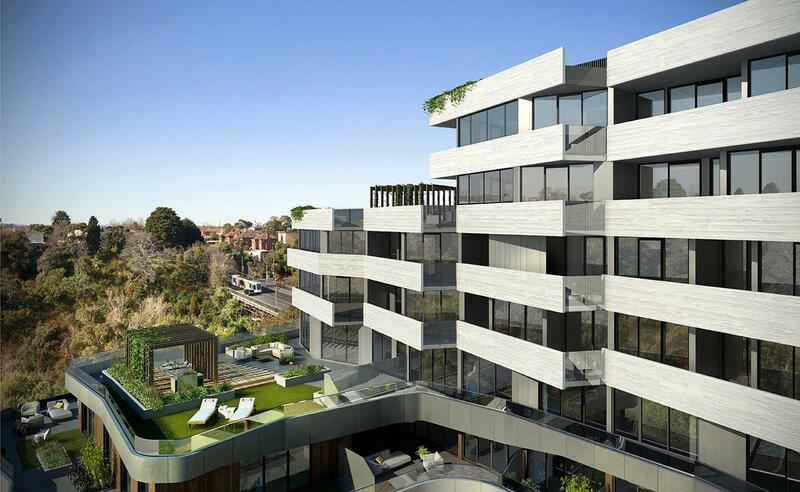 The offering at Haven and Eden has been well received by a range of buyers particularly Melbourne’s elite downsizers from neighbouring suburbs of Hawthorn and Kew who are seeking a premium lifestyle alternative. “We anticipate a similar response for Sanctuary who will be attracted to an exclusive lifestyle with enviable views of the Yarra River, surrounding treetops and the city. The 12-storey development includes 193 one-, two- and three-bedroom apartments. One-bedroom apartments range from $365,000 to $587,000, with internal areas sized from 41sqm to 58sqm. Two-bedroom apartments are priced from $570,000 to $999,000, with internal sized areas from 56sqm to 130sqm. Three-bedroom apartments range from $980,000 to $1.95 million, with internal areas sized 95sqm to 197sqm. Each of the residences provides versatile open-plan living, with an abundance of natural light via floor-to-ceiling windows and generous balconies – sized up to 237sqm. Kitchens will feature high quality finishes and fittings including stone bench tops, mirror splashbacks and two-pac kitchen joinery. Each apartment has spectacular views of the river, treetops, city and beyond. Riverfront terrace homes have direct access to the Yarra Trail. A key feature of the development is the quality amenities, with communal spaces that are reminiscent of a luxury hotel. This will include a resident rooftop retreat, which will include a large undercover indoor/outdoor cinema with outdoor dining and relaxation areas. A lobby bar is also available at Sanctuary, along with access to the Health and Wellbeing Retreat located within the Haven building. The Health and Wellbeing Retreat will give residents access to a heated 25-metre lap pool, spa, sundeck, sauna and gym. A dedicated lifestyle team will also be on hand to provide exclusive services such as personal training, yoga classes, beauty services and massages. More than a third of the overall site will be dedicated to public amenities including landscaped public laneways and gardens, designed by urban planning team Tract Consultants alongside David Engwicht, providing access to restaurants, cafes and boutique offices. Sanctuary residents will have access to some of Melbourne’s iconic shopping and lifestyle precincts, including Bridge Road and Swan Street, with Victoria Gardens Shopping Centre located across the road. Construction of the development is scheduled to commence in early 2014 and expected to be complete by late 2015.